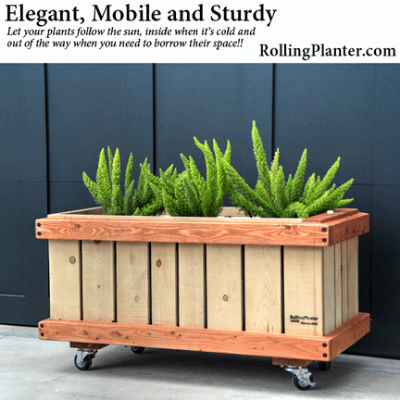 Welcome to the home of the best commercial quality wooden mobile planters made. 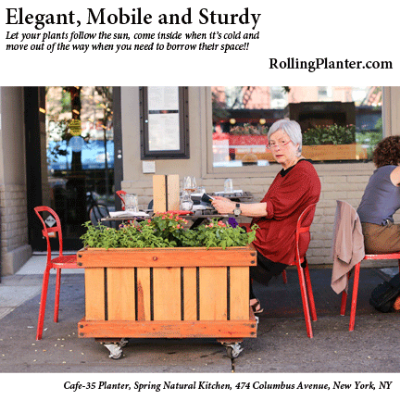 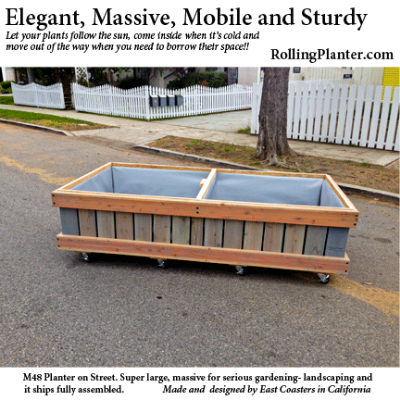 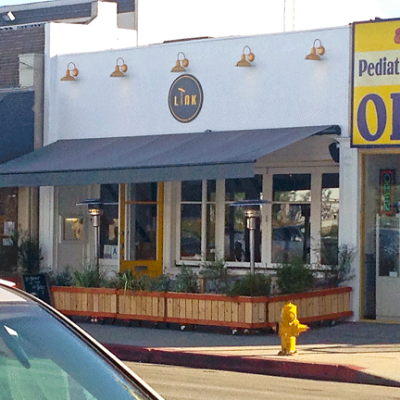 RollingPlanters are developed, and handcrafted in Ventura, California predominantly from domestic sustainable materials. 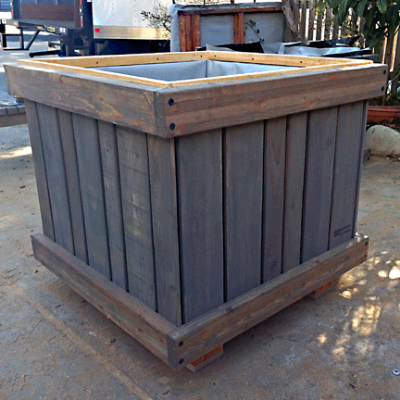 Each planter is lined with non-leaching reinforced resin fabric to grow safe chemical free produce. 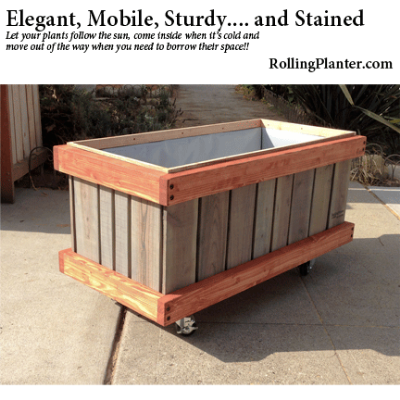 The fabric helps protect the planter’s wooden frame from elements; and helps conserve one of earth’s most valuable compounds... water. 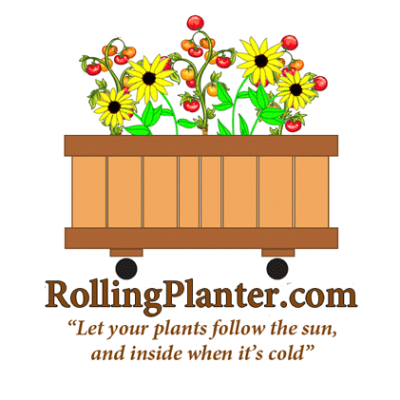 Plants are literally allowed to follow the sun and be moved inside/outside with the change of seasons. 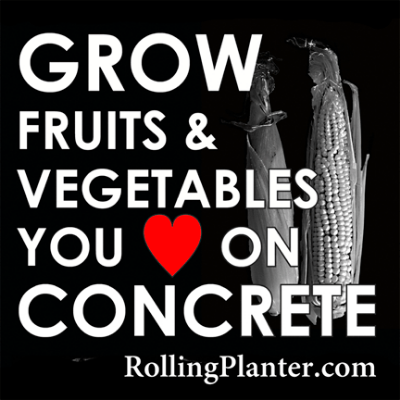 Permits hardscape to accommodate multiple social functions and/or work projects. 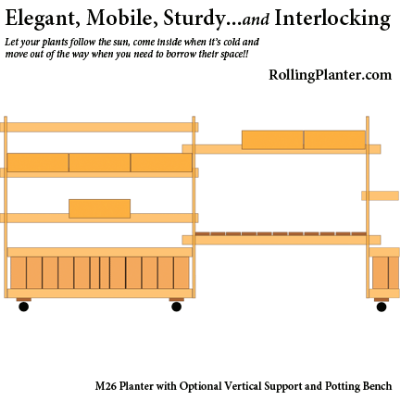 Designed for people who are physically challenged. 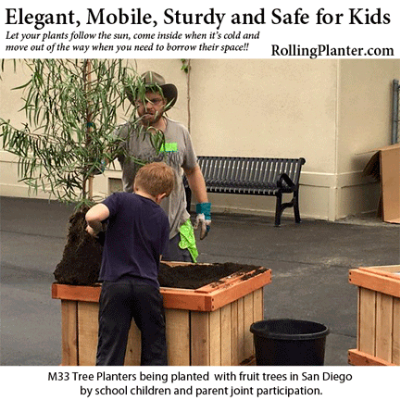 Whether you use a wheelchair, walker, cane or need a rewarding activity, there is a planter for you. 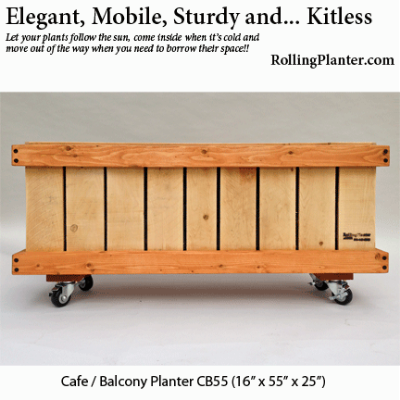 Perfect for both commercial, educational and residential use. 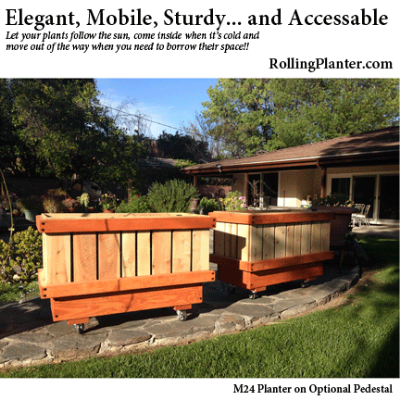 Tough enough for businesses, accessible enough for schools and handsome enough for home. 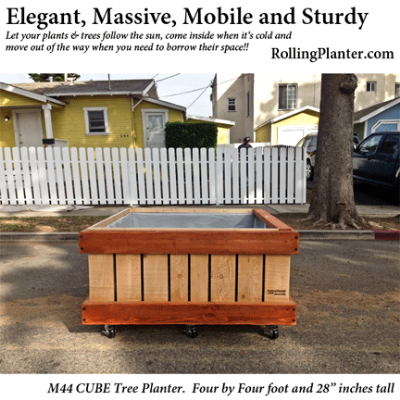 Sized from 16” x 35” x 25” to 4’ x 11’ x 42.” Arrive to their destination fully or virtually assembled. 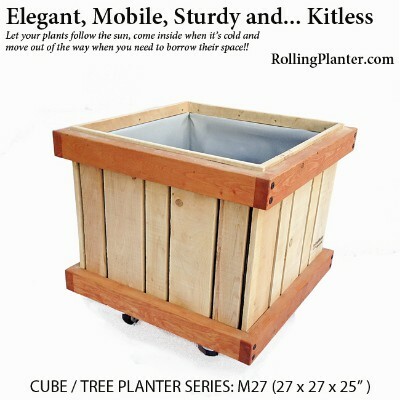 Are great for amateur and professional gardener alike. 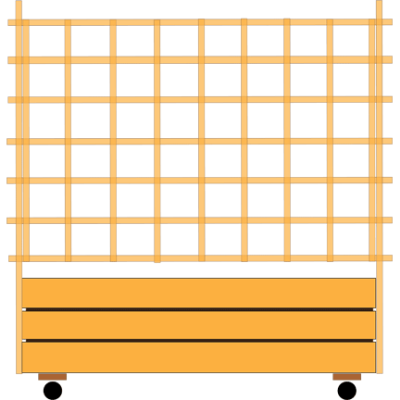 Made to last and provide less cleanup. 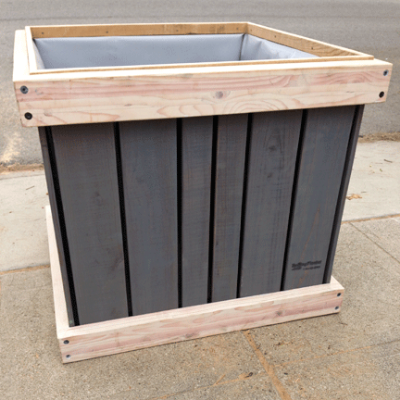 Planters are secured by locking mechanisms. 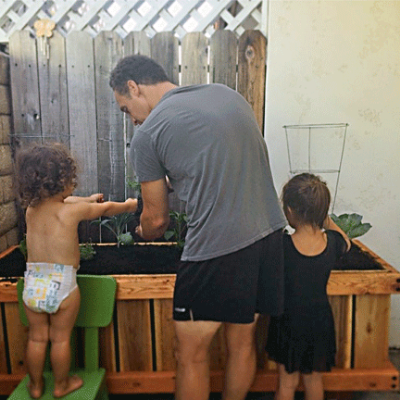 Like a Swiss army knife, one planter can provide all forms of growing environments including Aquaponics.